A client wondered why her website wasn’t showing up in Google. Search engine optimization or SEO is the process of having your website appear in Google and other search engines. SEO is a long process that works with your content marketing efforts so your website appears favorably in organic page search rankings. So, how do you get your website to show up in search? Technical SEO lays the groundwork for search engines to crawl and index your site. It also affects user experience in terms of page speed and accessibility, among other things. Local SEO optimizes your site for search-ability in your local area. Since I don’t develop WordPress themes, I use StudioPress themes that run on the Genesis Framework to help me with technical SEO. The framework simplifies setting up a WordPress because it comes already search-engine optimized. Install the Yoast SEO plugin and use it to optimize each page and blog post. Yoast walks you through entering meta tags for each post/page element, and makes suggestions on how to improve your content from an SEO perspective. Additionally, Yoast SEO creates robot.txt files and sitemap.xml files. A robot.txt file tells search engines what you want indexed or not indexed on your site. The sitemap tells search engines about each page and how they relate to one another. Note: If you want search engines to index your site, uncheck the check box labeled “Discourage search engines from indexing this site” in your Dashboard > Settings > Reading folder. You use Google Analytics to watch and understand the website traffic coming to your site. Make sure you claim your small business with Google My Business, Bing Places for Business, and other search engines. Then, once your Google My Business page is up and running, ask your clients to write reviews. Your page rankings improve once you have five or more 5-star reviews. Use Moz Local or other service to list your small business and website correctly and consistently across all directories on the internet. The Moz Local basic services costs $99 per year and is worth it. Content SEO is about providing high-quality, informative and engaging content so website visitors will want to start a relationship with you and your small business. A content plan is a detailed proposal that describes the content you will create and distribute to your core audience, the tasks you will do to create and distribute the content, and how you will measure your activities to ensure you meet your small business content goals. A content plan is also flexible so you can review and change it if necessary. However, once you have a plan in place, work it for 3 to 4 months before you make any adjustments. Keyword research is part of any content strategy. You have to know what people are looking for so you can generate the content that will help them find you. You and the people who care about you and your business create high-quality content. Each website page and blog post has a structure: title (your h1 tag), body (with section headings for h2, h3, and h4 tags), conclusion with a call to action (CTA), image or other media with meta tags, meta tags (which you enter using Yoast SEO or another SEO tool), keywords, and long-tail keyword phrases. Consider how each of these elements appear on your website, in search, and social media. Once you publish a blog post, update an existing page, or create a new page, you have to tell people about it. Begin with your newsletter. Write a brief paragraph about what’s new on the website and blog, encouraging your readers to click through to your website and article. Then talk about your post and small business on your social media channels, always making it relevant for your audience and linking back to the original content on your website. WordPress comes with a proofreading tool that will help you with word choices. Not all the suggestions are correct or valid. However, the proofreading tool encourages you to write in an easy, conversational way that anyone can understand. And without typos. Second, make sure you optimize every image and media file by adding meta descriptions, titles, and alt titles. Finally, follow Google’s guidelines to find the best size and image quality for faster page loading. Use structured data markup so search engines can better understand your content and index it correctly. Links help increase your site’s page authority. Internal linking. Link to pages within your site. Blog posts can link to other blog posts. However, it’s best if you can link to a landing page, which is basically a sales page, for example, to grow your email list. External linking. In your blog posts, make sure you reference authoritative sites with external links. First, you should always cite your references. Second, if you link to authoritative sites, then, maybe, they’ll return the favor as your content gains more authority. High-quality backlinks. Finally, you want links coming into your site from high-quality sites, for example, a school, professional organization, or trustworthy news organization. There’s always a lot to do to get your website to show up in search. SEO and content marketing are processes that take time to develop and execute. If you feel lost, remember your online presence works when your website content works. So, begin with your website content and go from there. 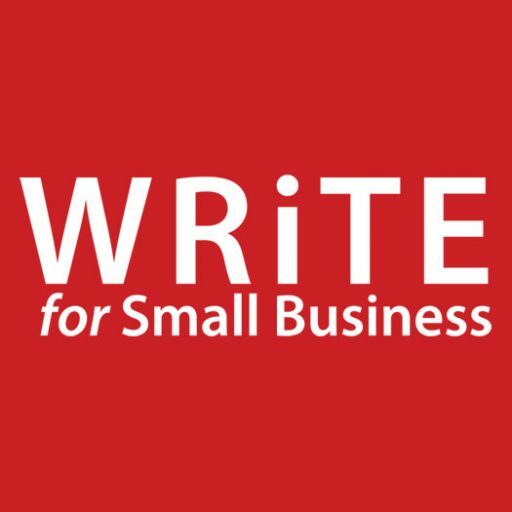 What do you want people to know about you and your small business?